BR18016 – Continental Line NY/NJ Standing Firing #1 -1 Piece Set – a perennial favorite back in a new facing color. BR18017 – Continental Line NY/NJ Kneeling Firing #1 – 1 Piece Set – another great pose now in NY/NJ facing colors. BR18018 – Continental Line NY/NJ Advancing #1 – 1 Piece Set – there are three kinds of classic toy soldier collector poses – standing firing, marching and at the ready/advancing – I happen to the latter. Nothing like ranks of troops advancing with the rifle leveled, bayonet at the ready! BR18019 – Continental Line NY/NJ Reaching For Cartridge #1 – 1 Piece Set – another superb pose for a firing line. BR18020 – Continental Line NY/NJ kneeling Loading #1 – 1 Piece Set – Can’t have one without the other! 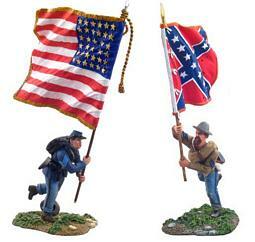 BR31050 – “Rally Round The Flag, Boys!” – American Civil War Flagbearers – 2 Piece Set – these are figures BR31042 and BR31046 that were available separately, but they have been packaged together in a special closed gift box with limited edition certificate and info card. An ideal set for holiday gift giving. BR10010– Black Watch Pipes and Drums Bass Drummer – Early 20th Century – time to finish off the pipes and drums – with a BANG ! BR22001 – Elephant Guards – Not a job I would’ve wanted but someone has got to do it! BR22003 – A Jaipur Horseman – Regal and magnificent in his flowing robes of emerald, scarlet and white. BR46003 – Drummer, U.S. Infantry, 1813-1821 – Complete with reverse colors and ready for the 200th anniversary just around the corner! BR47011 – British Grenadier Officer 15th Regiment of Foot, 1754-1763 – an officer in mitre cap! BR44018 – Sergeant, 2nd (Coldstream) Foot Guards, 1822 – great companion piece to the other ranks figures. BR44027 – Highlander, 42nd (Black Watch) Highlanders, 1882 – Ready for action at Tel-el-Kebir. BR44026 – Guardsman, 2nd (Coldstream) Guards in Full Dress, 1815 – A fitting sentry to guard King George III. BR25014 – U.S. 101st Airborne Paratrooper Running with M1 Garand #1- probably the most used but underrated pose of WWII. 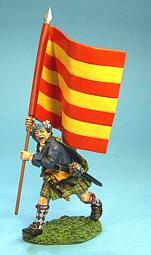 Cameron of Locheil’s Regiment was one of the first to be raised, and was always one of the strongest Jacobite units. It was generally regarded as an elite unit, even though it was originally very badly armed. It was reported to be at least 700 strong at the Battle of Culloden, and two colours are known to have been present at the battle. One of which was the simple red and yellow barred colours. It was supposed to have been captured from the Camerons at Culloden, but was not included in the official list of trophies. The present whereabouts of the colours are unknown but in the late nineteenth century they were still preserved in a glass frame, but were wrongly identified as belonging to the Princes’ Lifeguards. The Patched JIBBA was the costume of all Mahdists in the Sudan, warrior and civilian alike. It was an outward sign of adherence to the MAHDIYYA ( the Mahdist movement), and all who wore it were called ANSAR ("helpers"). The origin of the uniform is the short garment worn by the poor of the Nineteenth Century Sudan. It was made of rough cloth and it was frequently patched where it was torn. Originally the patches were a necessity and sewn on irregularly, but later became ordered and more ornamental. The Jibba became the Mahdist uniform by accident. It was only after the defeat of Hicks, that the Mahdi issued regulations concerning the uniform dress of his followers. The full uniform was a patched Jibba, sirival (white trousers), sayidan (sandals), Karaba (girdle of Straw), Taggia (hat or skull cap) , imam (turban), and sibba (beads). The imam was wrapped around the taggia and allowed to hang loose under the folds of the imam behind the left ear, while the rest was wrapped so that successive folds made an inverted "V" in the front. The Fez, which was a sign of Turkish allegiance was strictly forbidden. Hobby Master – March 2010 Releases. HL2005 – Douglas DC-4 QANTAS VH-EBL "Hong Kong Trader"
HL2006 – Douglas VC-54C U.S. Presidential aircraft "Sacred Cow"
HL1005 – Lockheed L-188 Electra VARIG "PP-VJM"
We have the following new 1:32 Scale Plastic WWII sets. Each one contains 14 unpainted figures, with no assembly required. 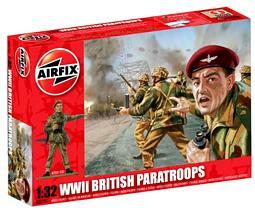 They have been made from the original Airfix moulds and they are terrific value and the quality is superb. Also new in stock we have the following Starter Model Kits complete with paint and Glue idea for your Childs first or second model kit. 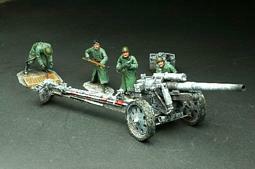 Napoleonic — New French Artillery including a new 6 inch Howitzer. Plus a new Classic Napoleon. The Real West — 10 new figures and some marvelous sculpted Indians. All of the Indians are painted in Southern Plains Indian style using Comanche, Sioux and Cheyenne references. 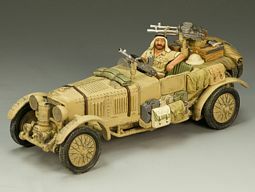 WWII – British 8th Army – SAS — This release is superb – with a magnificent Desert Bentley and the British favorite a Bren Gun Carrier. Not to be missed! WWII – American Airforce Europe — Nine sets of figures and individuals plus an iconic U.S. fighter plane. The P.51B “Mustang” only 500 are planned for production do not miss out. Copyright © 2009 SierraToySoldier.com All rights reserved.